Home » Dragonball Xenoverse 2 » PS4 » Dragon Ball Xenoverse 2 - New Reveals! 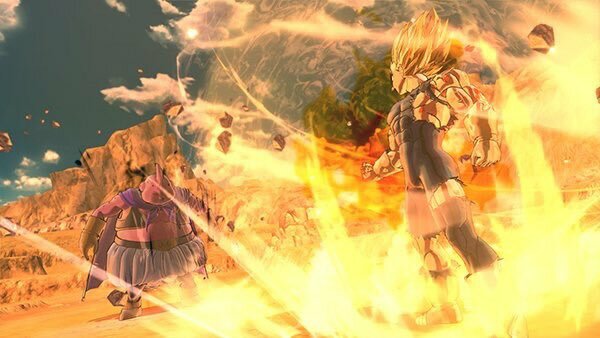 Dragon Ball Xenoverse 2 - New Reveals! As many of you may know, today is the last day of Gamescom 2016 and I'm here to deliver more information about Dragon Ball Xenoverse 2. If you're excited for this as much as I am, read on as I explain what's new. It's here we can see some of the new characters like Super Gogeta and Super Janemba (who had already been previously announced), but my main focus is on Super Saiyan 4 Vegeta who was only available as a pre-order bonus in the first game. 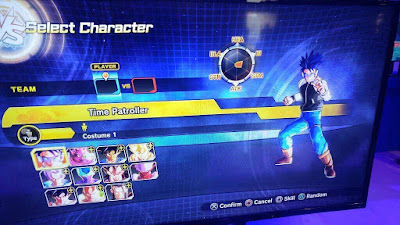 Just above him is GT's Kid Goku, who appeared in Xenoverse 1's DLC. We also had Super Saiyan 4 Goku in the previous game, though as it currently stands, he's nowhere to be seen. Still, if they're including characters like GT's Kid Goku, Super Saiyan 4 Vegeta and Super Android #17 (pictured below SS4 Vegeta) then I can't see why we won't get SS4 Goku and maybe even SS4 Gogeta. Now though, hold onto your hats guys, because here we have none other than the prince of all Saiyans himself - Majin Vegeta. This is during his fight with Majin Buu and he looks as though he's about to use his Final Explosion move. If you've seen this moment in the DBZ Animé then you know this is going to be amazing because I feel like Majin Vegeta was one of the only things missing from the first game. It's clear to me that now he's in, the timeline isn't the only thing going to be corrected. First up is one of the returning stages - The Stage of the World Tournament. 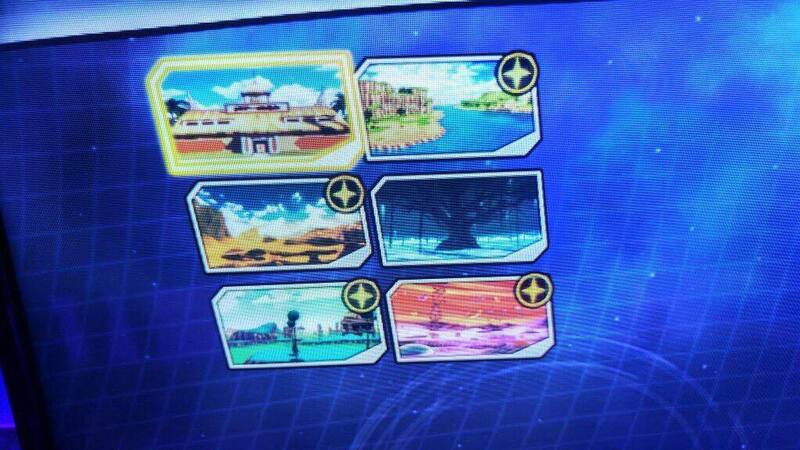 Next we have Wasteland and Namek, the standard stages you'll find in practically every Dragon Ball Z game. 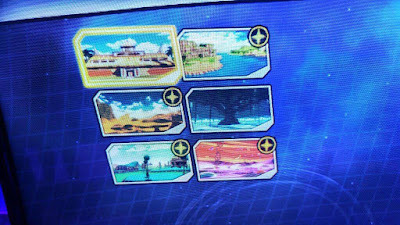 The next three however appear to be the Archipelago where Piccolo fights Android #17 (which isn't something that's previously unseen, but is new to Xenoverse), the Tree of Might, from the movie of the same name and finally the Hell stage where Super Gogeta fights Super Janemba. It's featured in the Fusion Reborn movie and looks absolutely amazing. I'm also personally excited for the Tree of Might stage, because I haven't ever seen it in a Dragon Ball game before and I've played most of them. It brings back great memories of the fight between Goku and Turles! The last point of this short article I'd like to touch upon is this image. 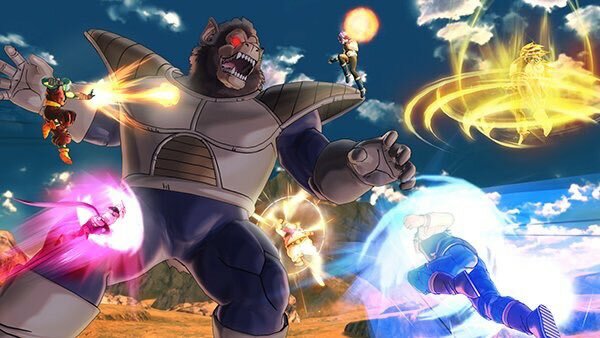 Here we can see six Time Patrollers teaming up together in an attempt to take down the Great Ape Vegeta. It's currently not known if we'll be able to play as larger characters like the Great Apes, but I think a 6 v 1 player vs player online battle would really shake things up, as in the first game the Great Ape's attacks tended to be large sweeping Ki beams or heavily swung melee attacks that would deal overwhelming amounts of damage, swatting you away like a housefly. I just hope the developers are able to find a way to do this as it'd make for some seriously interesting online battles. This short piece may have been a little Vegeta heavy, but just remember - He's the Prince of all Saiyans and it doesn't look as though he'll let us forget that any time soon.